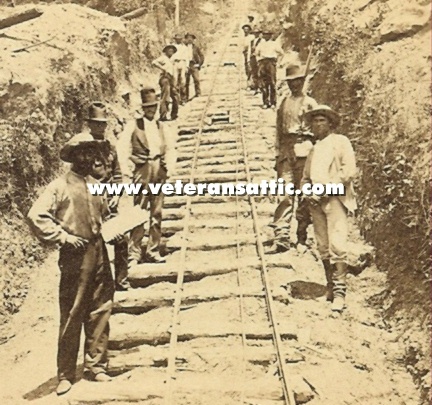 A group of miners are standing next to a set of railroad tracks headed toward a mine. 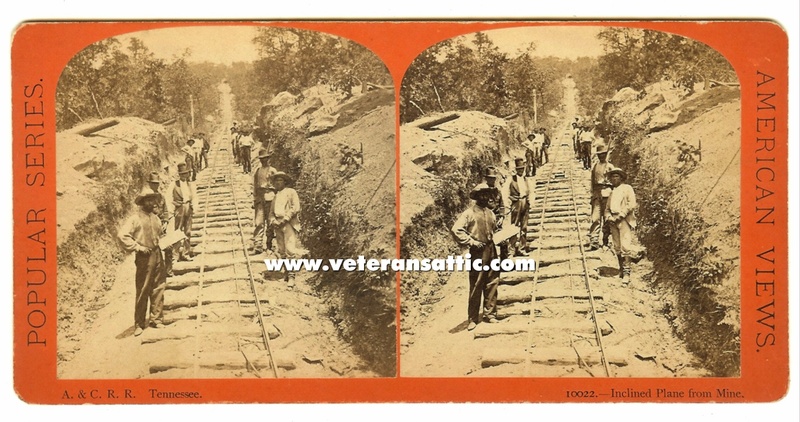 This stereoview was issued by American Views - Popular Series. The number is 10022 and the title is "Inclined Plane from Mine". There is no backmark. 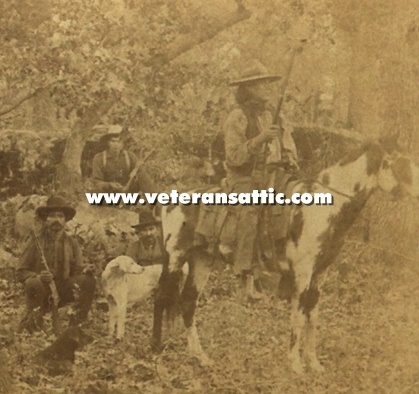 A goup of Shawnee Indians holding winchester carbines! There are four men, a dog, and a horse in this photo. 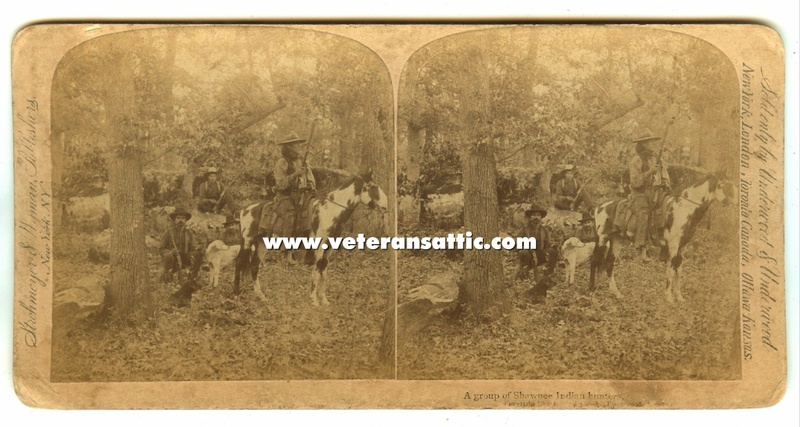 The title of this stereoview is "A group of Shawnee Indian hunters". This stereoview was issued by Underwood & Underwood. A great Indian stereoview! 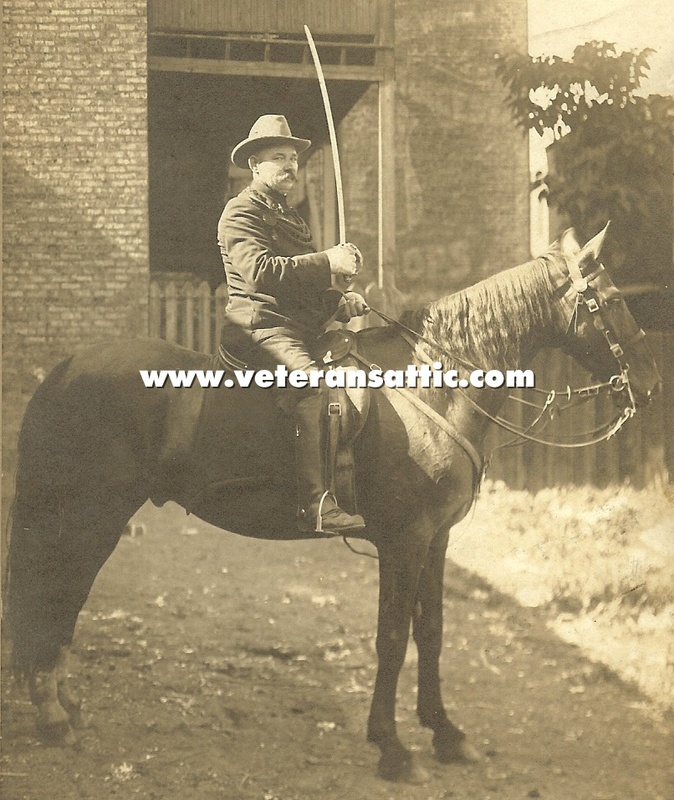 A wonderful photograph of an Indian War veteran holding his sword, mounted on a horse. His coat looks a little tight! I don't believe he has been on the campaign trail for awhile!!! 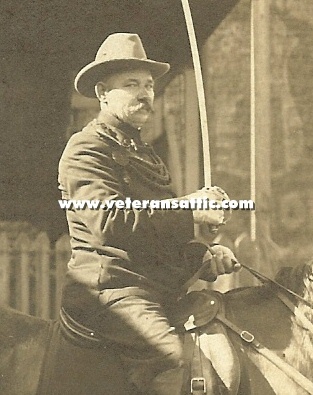 The photographer was J.P. Rashinski Studio, 3213 S. Morgan St., Chicago, Illinois as noted at the bottom of the card. The photo is approximately 6 1/8 inches by 4 1/8 inches. The card the photo is mounted on is approximately 9 inches by 6 inches. 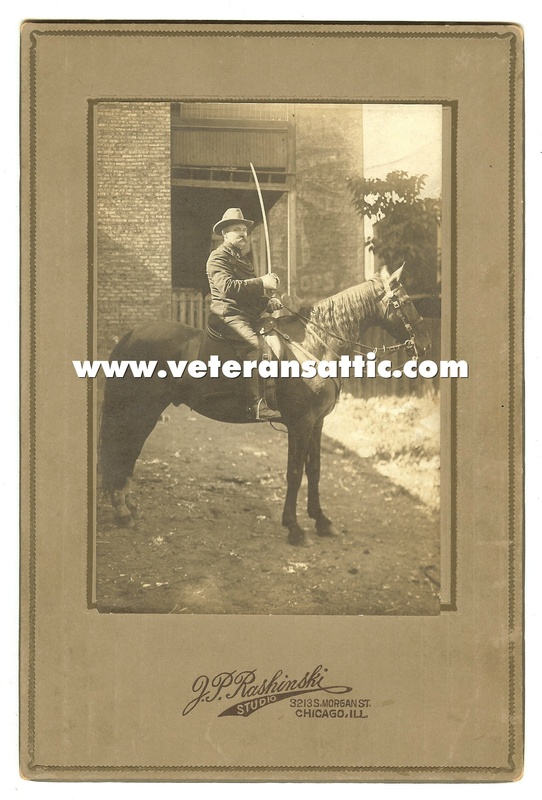 You don't find many photographs of Indian War veterans.